A masterful mix of lush fabrics, eyecatching silhouettes and timeless style, this seating group is a contemporary masterpiece. 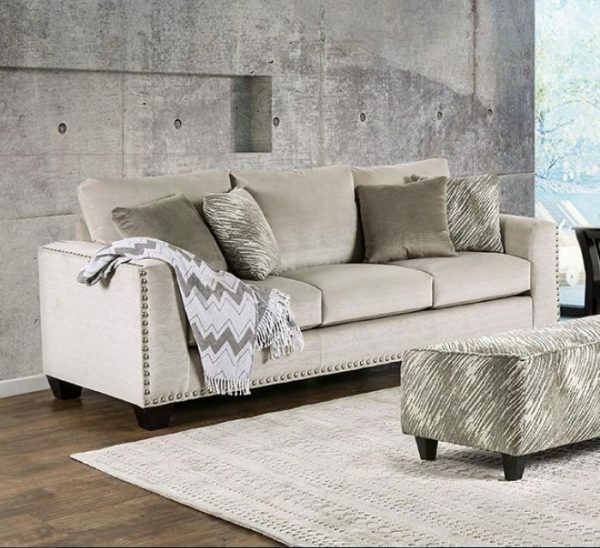 Incredible attention is given to details, such as individually attached nailheads, furnished track arms, and a rich combination of gray accent pillows with light mocha fabric. 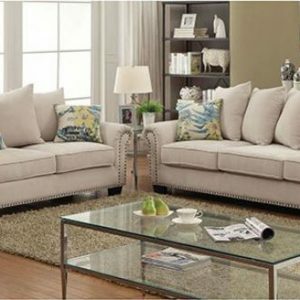 Ready to become the focal point of your living room, this set exudes a laid-back confi dence and comfort you won’t be able to resist.